Maryland Cyber Security experts are growing excited about a new cyber security non-profit which is taking aim at bringing the community together for a larger impact. Maryland Innovation & Security Institute (MISI) is a non-profit formed exclusively to further and promote charitable, educational, and scientific purposes including, but not limited to, furthering innovation in cybersecurity through education, global technology partnerships, investment, and community engagement to create a collaborative network of subject matter experts and cyber professionals. MISI reaches out across the country to tech incubators, universities and emerging companies to seek out new solutions in order to promote its innovation goals. The new cyber security initiative is just what Maryland needs, at a time when Maryland has had a steady increase of breaches as identified by the Maryland Attorney General’s Office. As of January 2008, any business that retains consumer records is required by Maryland law to notify a consumer who is a resident of Maryland if his or her information is compromised. The “security breach law” also requires the business to notify the Office of the Attorney General. In 2017, there was a total of 1084 cases submitted to OAG, with the biggest breach being Equifax, causing 2,964,180 MD residents to have records released without consumer knowledge. In 2016, there was a total of 792 cases submitted to OAG, with the biggest breach being Eddie Bauer, causing 23,080 MD residents to have records released without consumer knowledge. 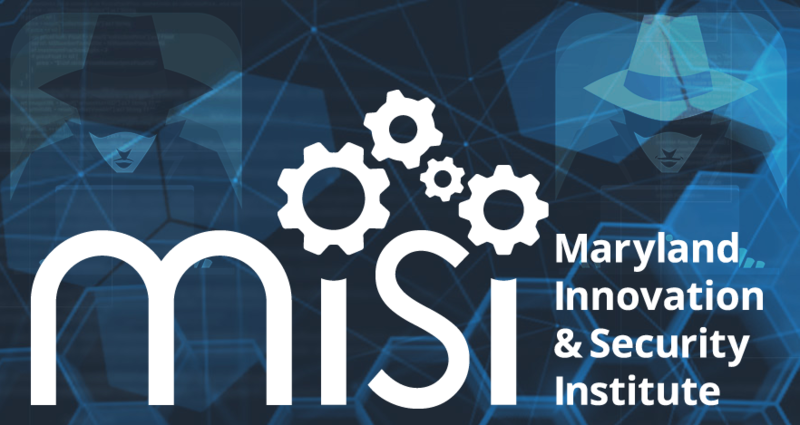 MISI is focused on accelerating the pace of innovation in cyber security through global technology partnerships, education, investment, and community engagement. Capitalizing on Maryland’s cyber security strength, MISI hopes to help Maryland become a thriving global center for innovation and excellence in the arts of science and engineering. MISI plans to create a new kind of innovation center, recognized throughout the world as a place of imagination, innovation, and commitment to creating a secure future for people, governments, and businesses in cyberspace. Recently, The Maryland Innovation and Security Institute (MISI) has been awarded a five-year Partnership Intermediary Agreement (PIA) by United States Cyber Command (USCYBERCOM) to innovate new technologies in an unclassified, state-of-the-art facility located in Columbia, MD. MISI’s charter under the U.S. Cybercom DreamPort PIA is to discover and innovative emerging technologies from across the United States. MISI is forming partnerships with various cyber security businesses across the region, including CyberPoint International, Dovestech, Eccalon, Federal Business Council, George Washington University, Johns Hopkins University, and University System of Maryland. MISI will continue to expand a broad network of partnerships, leveraging existing extensive suite of partners, and exercising the tools that have been used to build and develop those partnerships to create and nurture new ones. For more information about MISI, visit the official website. Original article posted on Linkedin by Ronnie Dove.